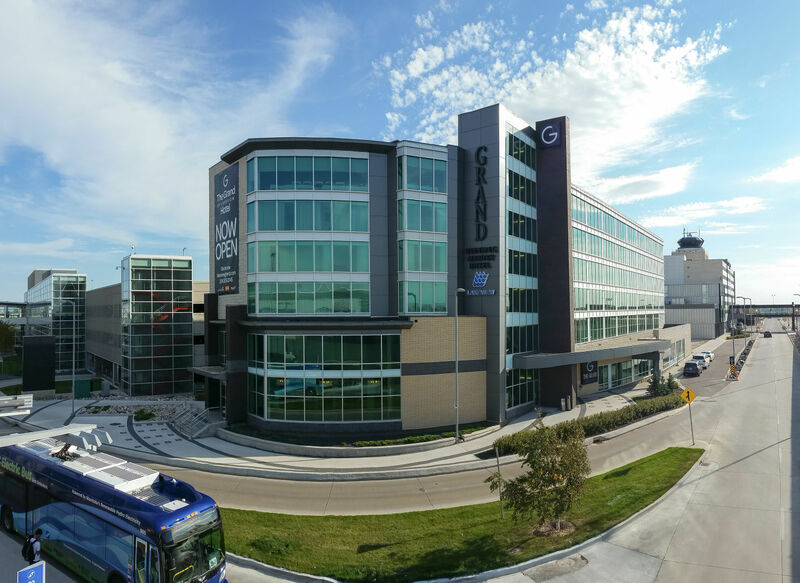 Grand Airport Hotel in Winnipeg, Canada, was built with a unique solution bringing out the best of precast concrete hollow-core slabs: the DELTABEAM®. 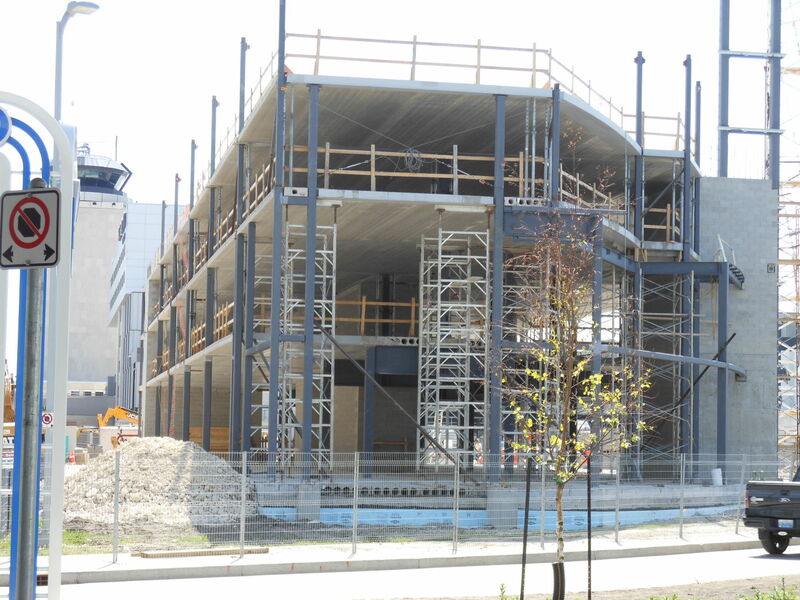 Each floor of the hotel is built with a total of 25 DELTABEAM®s each spanning an average of 22 feet. Innovators at Raymond SC Wan architect promoted the use of the DELTABEAM® solution to optimize the interior space of the building. 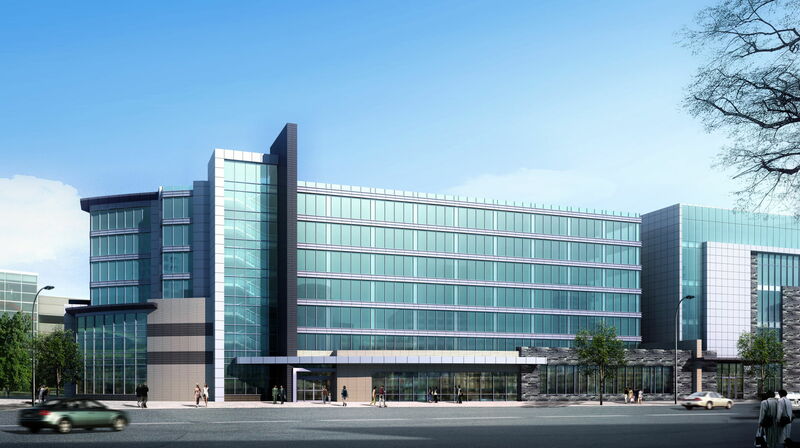 The Grand Hotel, located near Winnipeg’s James Armstrong Richardson International Airport, will have 6 stories and a total of 110 suites. Hotel was completed in 2013. 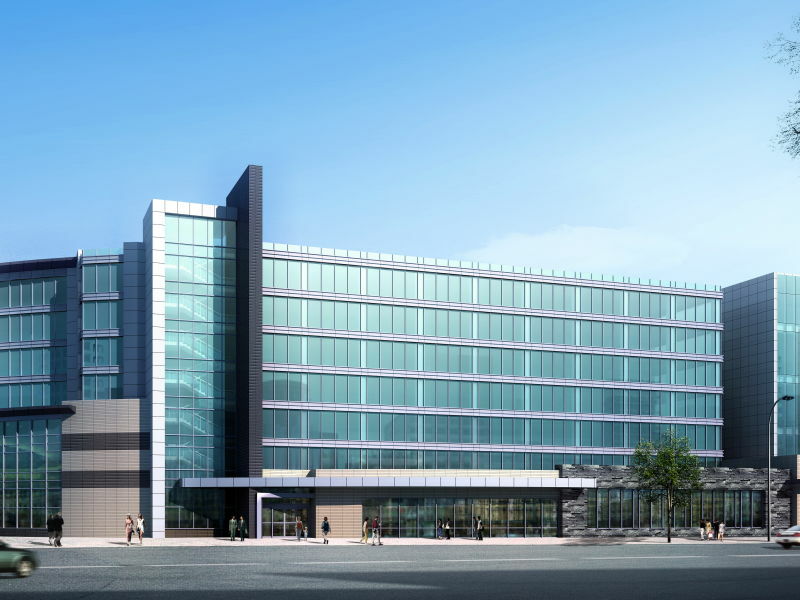 In choosing the best suited structural system for the project, Raymond SC Wan architect was especially concerned with head room issues and wanted to create wide open spaces on the lobby level. Through discussions with Guy Bernuy, Senior Sales Representative for Western Canada at Peikko, Raymond Wan decided the best solution for the Grand would be the DELTABEAM® solution: DELTABEAM® combined with hollow-core slabs of the same thickness. 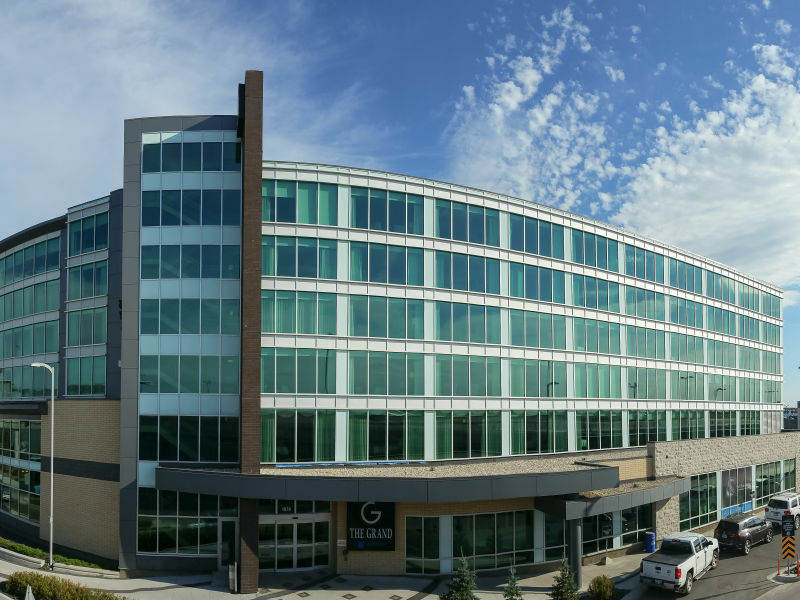 The flat ceiling and total floor thickness of 8-¾ inches (8 inch hollow-core & DELTABEAM® assembly + ¾” concrete topping) are two of the major factors why Raymond selected the structure. 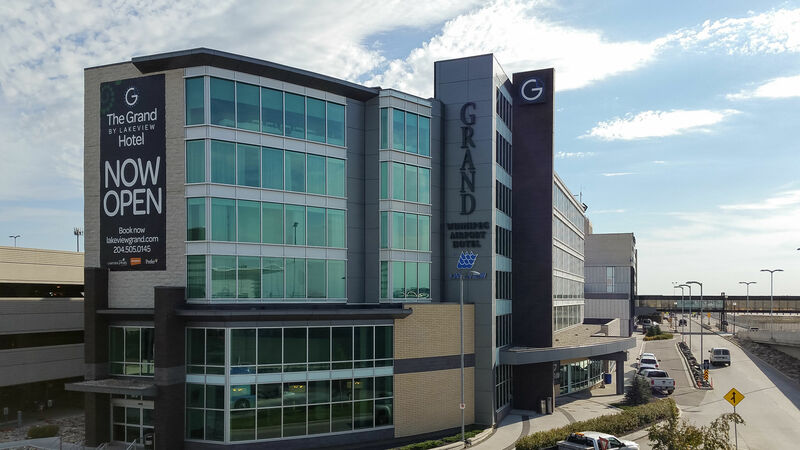 All 7 floors of the Grand (6 floors plus roof) utilize curved DELTABEAM®s; DELTABEAM®s with a curved steel section added on one side. The result is the impressive curved architecture of this unique landmark. 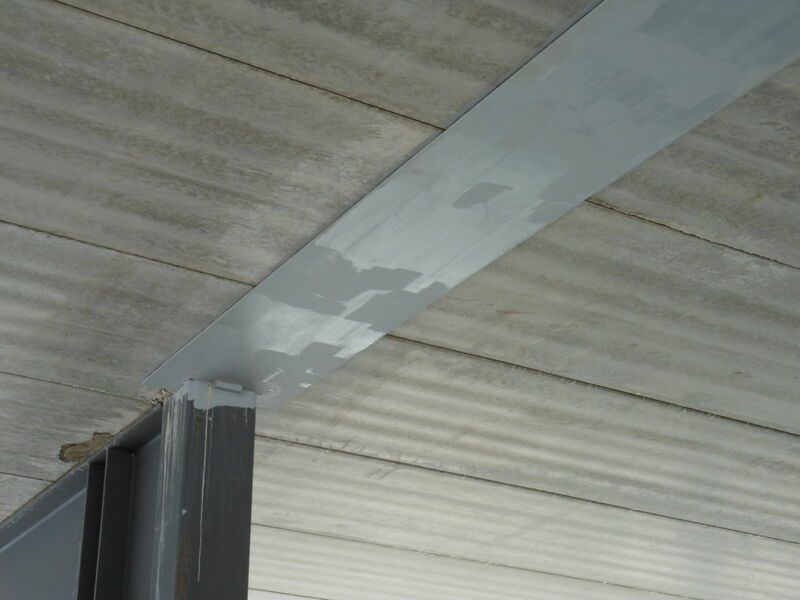 Beyond flexibility in design, the solution also enabled flexibility during its installation with great tolerances in beam to column connections and facilitated beam to cladding connection. 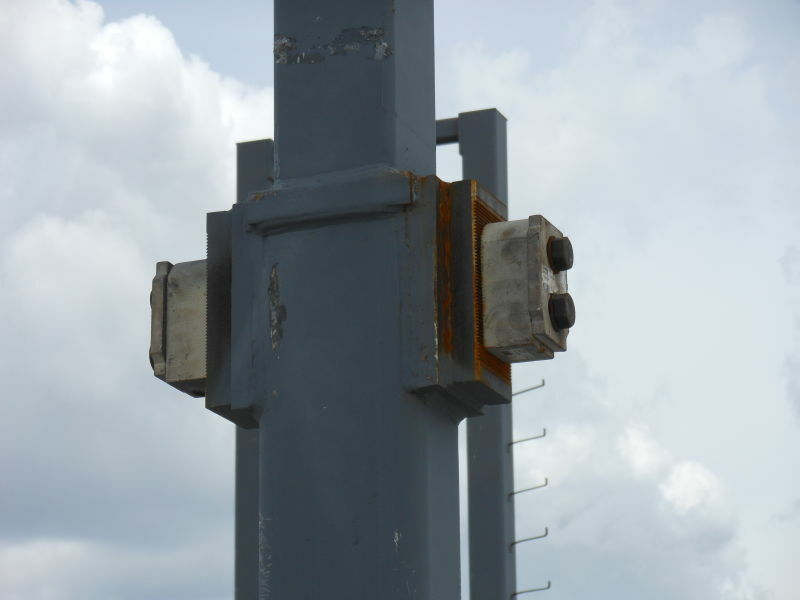 The Peikko connectors used to connect DELTABEAM®s to steel columns have a tolerance of ½’’ in all directions. This adjustment is welding free, bolts are merely untightened and the connection is replaced as required. 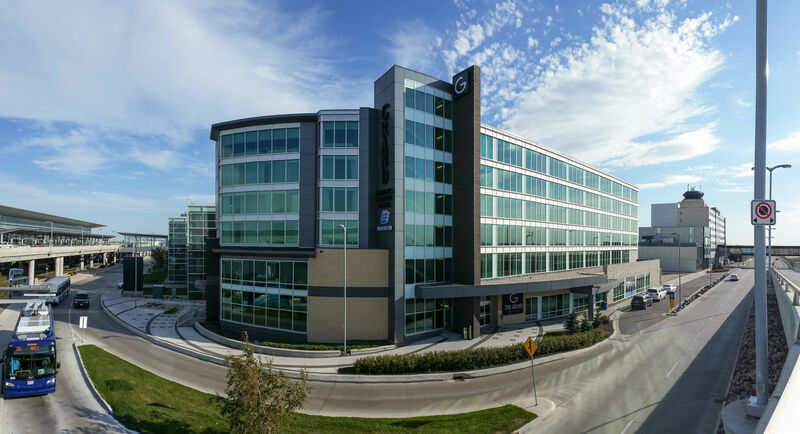 Finally, using curtain wall as cladding wasn’t a problem with edge DELTABEAM®s used in most of the hotel perimeter. The connection of curtain walls is flexible: the walls can be welded on the top, the side or the bottom of the floor integrated beam. Installation of the structure is a success. Five DELTABEAM® characteristics contributed to the successful installation. 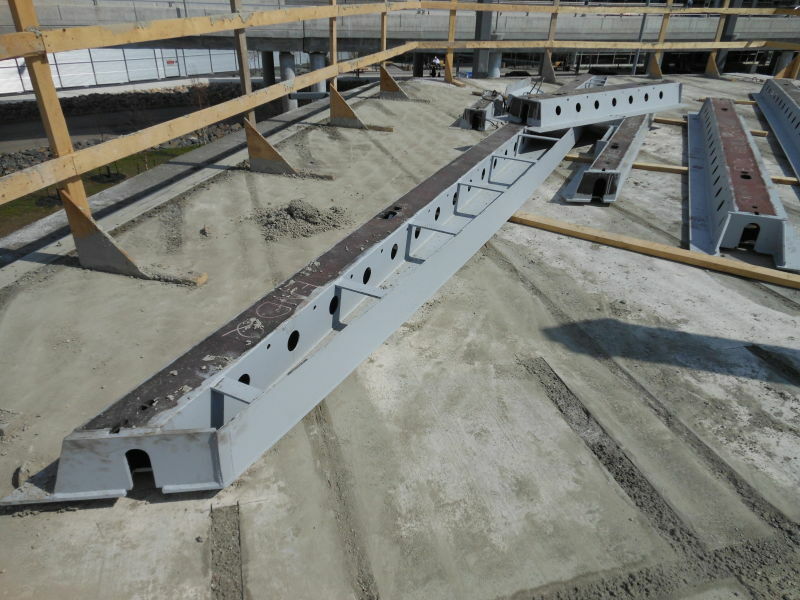 First, using PCs® corbels to connect the beams to the column frame enabled fast placement of the beams with no onsite bolting or welding involved: DELTABEAM®s were simply dropped onto their respective connections. Second, installation of the hollow-core was facilitated thanks to extended DELTABEAM® bottom flanges that surround each steel column, making a continuous bearing area to receive the slabs. Third, the web holes on each side of the beam make it easy to set hollow-core slabs tightly next to each other by using a crowbar through the holes to push the slabs against one another. As a result of setting each slab tightly together, spillage of grout onto the floors below from pouring hollow-core keyways is reduced or eliminated.Fourth, alignment of DELTABEAM® web holes with hollow-core key ways (hollow-core joints) simplified the placement of rebar through the DELTABEAM® and into the keyways on either side. Finally, the trapezoidal shape of DELTABEAM®s creates a gap between hollow-core extremities and the DELTABEAM®’s web.The installer therefore avoids breaking the top of hollow-core extremities to fill in the joint with concrete. Other points that accelerated the installation of the hollow-core and DELTABEAM® assembly involve reduced shoring. 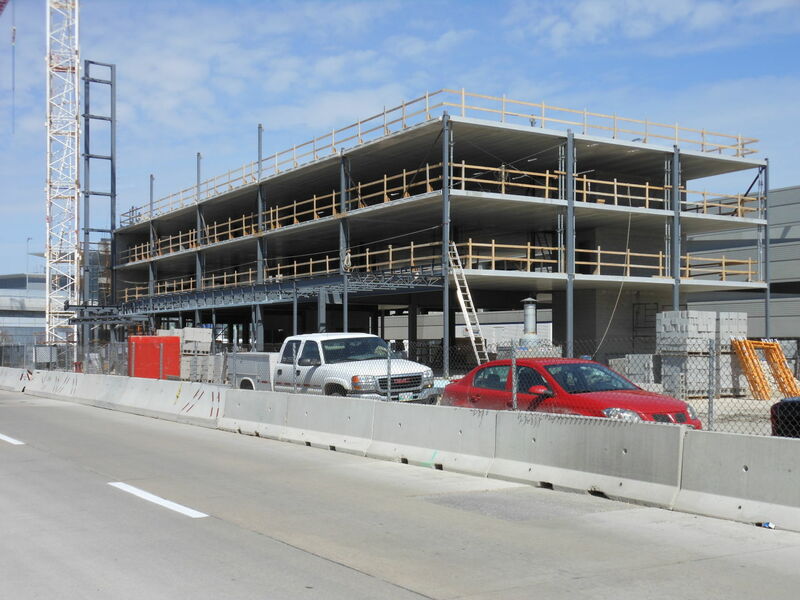 “The DELTABEAM® needs little shoring compared to a cast-in-place concrete structure, making it faster for other work trades to have access to the floors below” says Gar Helm, VP Operations at Abesco. 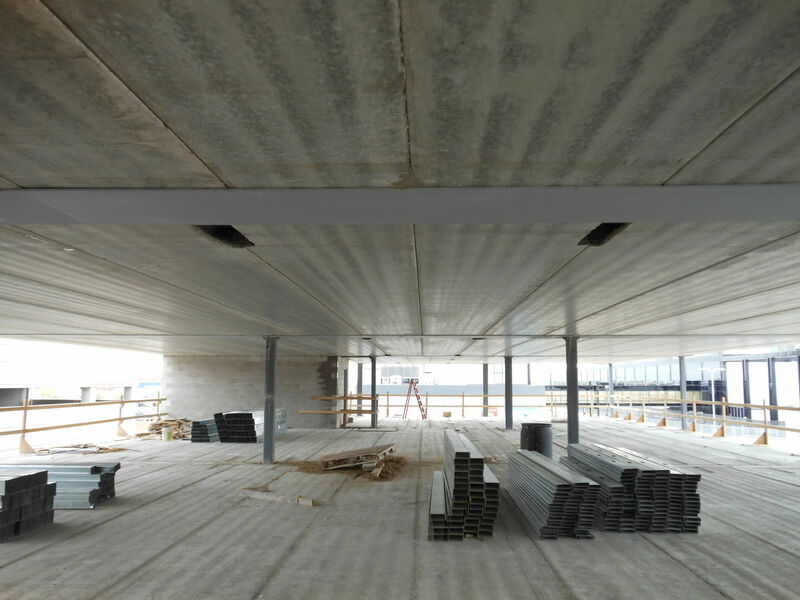 Additionally, fireproofing the small steel area created by the thin 3/8” steel plate projecting below the floor will be fast and proportionally reduce the cost of reaching the mandatory 2 hour fire resistance of the structure. While laboratory tests have proven the fire resistance of DELTABEAM® with unprotected exposed steel in Europe, UL (Underwriters laboratories) is currently testing the beams to prove the same results and certify unprotected DELTABEAM®s in North-America. By pushing innovation forward, Raymond SC Wan architect made it possible to reduce the height of the Grand Airport Hotel while avoiding head room issues and accelerating the installation of the structure. 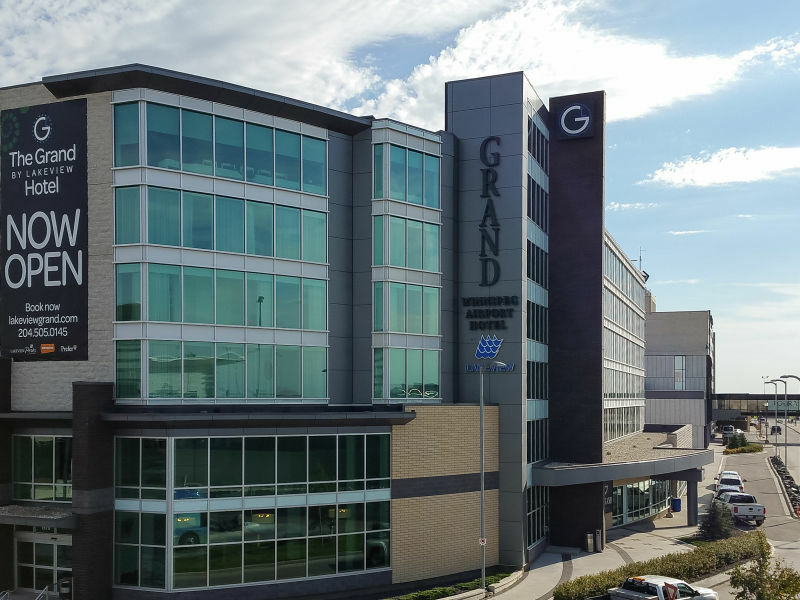 Grand is also a good example of market development for precast concrete hollow-core, enabling the slabs to compete accurately with a cast-in-place concrete flat slab system. 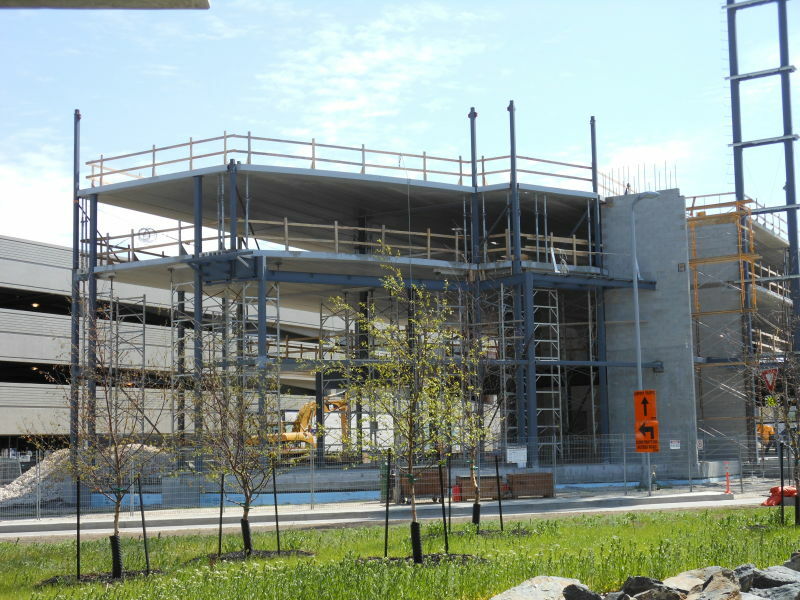 “The DELTABEAM® needs little shoring compared to a cast-in-place concrete structure, making it faster for other work trades to have access to the floors below” says Gar Helm, VP Operations at Abesco.